Eating vegetables in season makes sense, because the amount of energy used to get a blueberry from a neighboring state is a tiny fraction of one flown in from Chile. Local veggies will likely taste better, too. But grocery stores don’t make it easy. 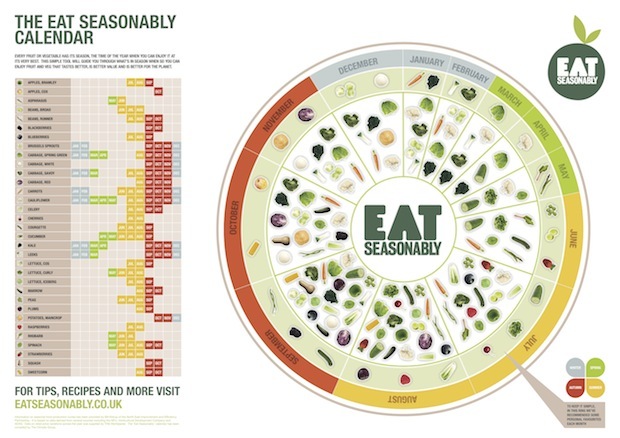 What’s cooler is that at Eat Seasonably, you can download the poster, sized to three types of printer paper–or simply look at the online, interactive version.